HCM CITY (VNS) — Young rising star Nguyen Tran Trung Quan won the New Artist and Album of the Year at the Cong Hien (Devotion) Music Awards. 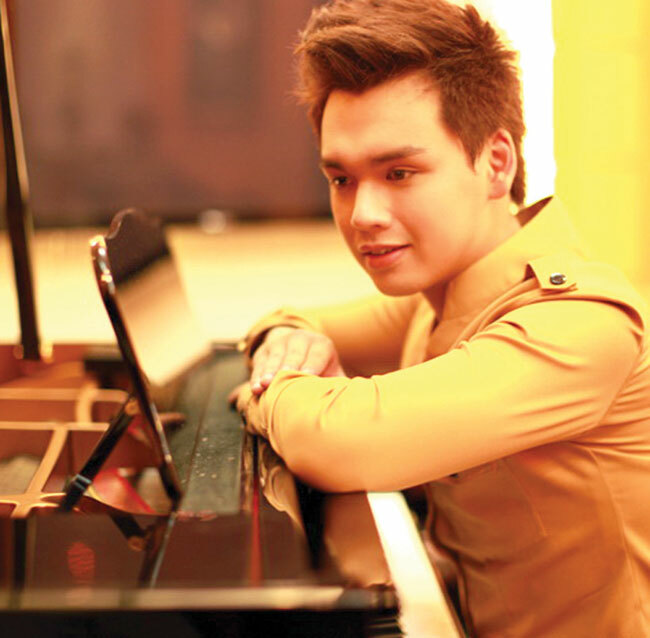 In a glittering ceremony held at the HCM City Opera House last night, Quan, a third-year student of vocal department at the Viet Nam National Academy of Music, fulfilled the promise he showed in finishing among the top four contestants in a television singing contest in 2012. In 2014, he released his debut album titled Khoi Hanh (Departure) featuring electronic music. Produced by composer Khac Hung, it included ten songs composed based on the time of the day, including Quan's own Ao Anh Trua (Delusion at Noon), dedicated to his grandmother. "I wrote the song for myself. I wanted to go back to my childhood, which was the most precious time in my life," Quan said. Other songs in the album were composed by Hung, Huyen Sambi and Sa Huynh. Composer Pham Toan Thang won the Musician of the Year award. The 27-year-old musician was a pop phenomenon in 2014 after winning the Journalists Council Award with Bon Chu Lam (Four Important Words) at Bai Hat Viet 2014 (Vietnamese Song 2014), a television show that runs throughout the year and showcases new works by Vietnamese songwriters. The song also fetched him the Song of the Year award. Performed by new singers Truc Nhan and Thao Nhi, it explored the feelings of two lovers when they are apart. "I want to put dong dao (folk music for children) in the song to make the melody gentle and sweet," said Thang, who started to compose when he was in the 10th grade. Pop star My Tam was named Singer of the Year for the third time. Last year, Tam held a free tour called Live Concert Heart Beat where she performed a selection of 22 Vietnamese and English pop, electric dance, light rock and Latin songs for more than 20,000 students and workers in HCM City and Ha Noi. She also won several major prizes including Best-selling Vietnamese Artist at the World Music Awards and the Asia's Music Legend award at the Top Asia Corporate Ball in 2014. Monsoon Music Festival 2014, an international music festival organised by Thanh Viet Company, won Best Live Show of the Year. "The festival's goal is to bring new music and a festive atmosphere to Ha Noi, in addition to building the professional music industry in Viet Nam," said composer Quoc Trung, the programme's director. The Best Concert Series went to Viet Nam Television's monthly concert Giai Dieu Tu Hao (Melody of Pride) featuring songs that are making a comeback with the younger generation in Viet Nam. The Devotion Music Awards was established by the Viet Nam News Agency publication The Thao&Van Hoa (Sports and Culture) in 2004 to promote Vietnamese music. It has honoured many artists who've made significant contributions to the industry including singers Hong Nhung and My Linh, and musicians Duc Tri and Quoc Trung.